marital bless: Me and my buddy - Pasta. 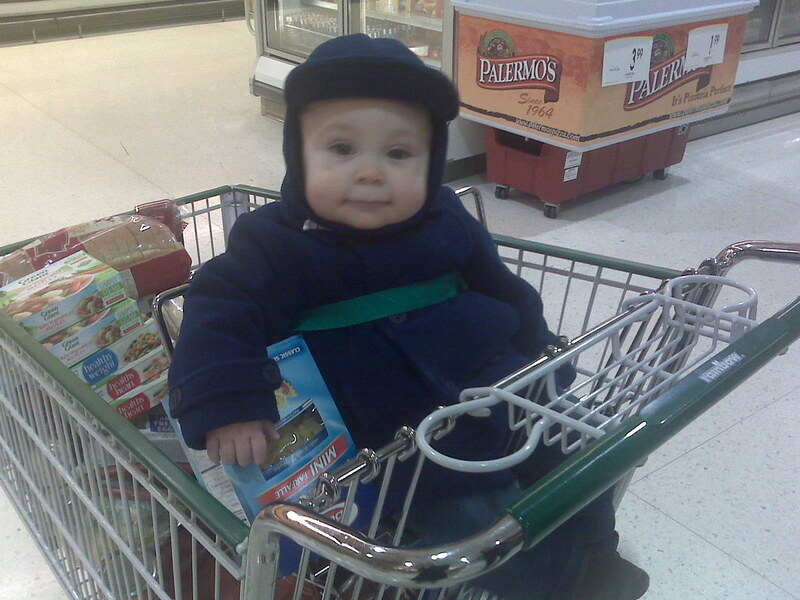 My Mom accompanied us out grocery shopping last weekend, while Tony was at hockey. She thought that the plastic on her box of pasta would be fun for Isaac to play with and he agreed, but these pictures? Way too funny not to share. Isaac was perfectly content to just chill with his box of pasta! I know I'm completely biased, but is this not the cutest picture? Oh and apparently you shouldn't try to mess with his box of pasta. He was about to throw down. LMAO. He looks like the quintessential Minnesotan in his hat with that grin on his face. His little coat and hat are so darn cute!! i feel the same way about pasta, issac. don't worry. we gotta stick up for our carbs! He has the cutest face! 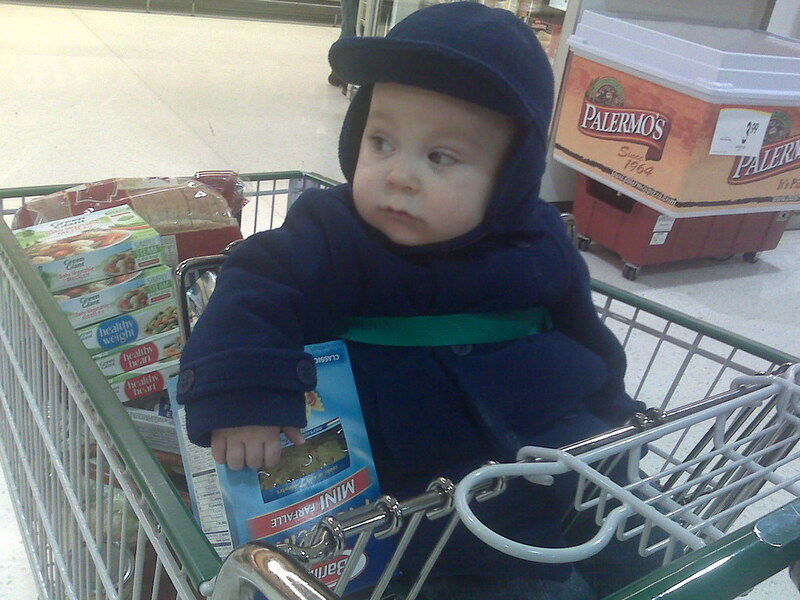 Grocery shopping with a little one is always an adventure! Totally not biased at all. It's adorable! You are not biased! He gets cuter every time I see him, if that's even possible. Especially with that little outfit and half-smile. NO one messes with the pasta! Smart guy. His expression is priceless! Love that second picture! Too funny! he loves his carbs!! :) too cute! what a cutie!! You are not biased at all!! Wow - the expression on his face in the first pic is my favorite! you don't have to be biased to say that he's absolutely adorable! isn't it great how much things that aren't toys can entertain them?! his expressions are awesome...i love it! Ah, yes that is VERY cute. He's VERY protective of his pasta. Oh my gosh, he is too dang cute. I just looove his cheeks!! Love it! I am unbiased and it is a stinking cute picture!!! He looks Gangsta'. Juan loves playing with things in the cart too.